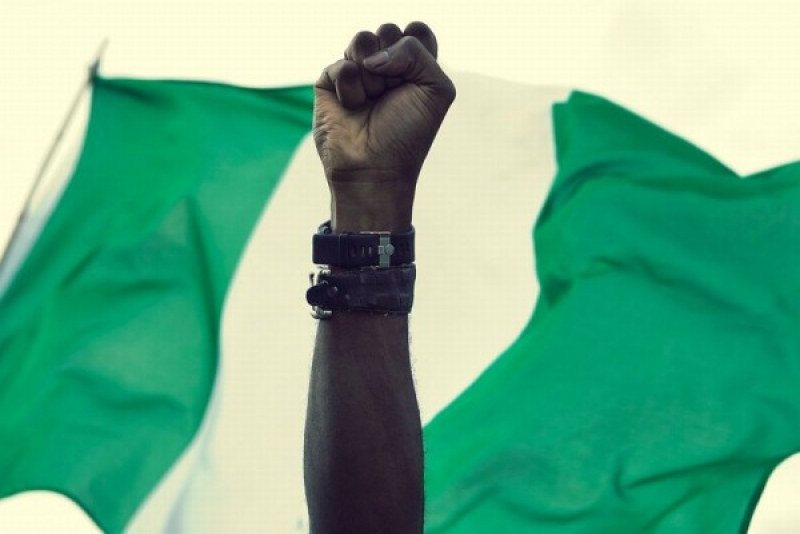 NOI-Polls: Nigeria at 52: Living our dream? 19, November 2012. Hurray Nigeria is 52!!! From the fight of liberation herald by Nnamdi Azikiwe, Tafawa Balewa and Obafemi Awolowo, to the declaration of our freedom in 01, October 1960; Nigeria has grown to be the Giant of Africa. Since our independence in 1960, 01 October has become a very important day in the country’s history. It is a day celebrated with thankfulness, vigour and jubilee. A day marked with an array of activities, from the joyful singing of children on the streets to the Independence Day Grand Parade by the Armed forces of Nigeria. However, until about a few years ago, the aura, expectations, excitement and prospects that used to characterise Independence have all waned. The reasons are manifold; fifty-two years after securing freedom from British Colonialists, Nigeria is still enmeshed in a series of crises that threaten its continued existence. Large sections of the country have remained underdeveloped while many ordinary citizens live below the poverty line. Nigeria since independence has launched many development plans and articulated a number of visions such as Vision 2000, 2010 and now 2020. Unfortunately, it is widely suggested that country hasn’t got much to show in terms of real development. Against this background, NOI Polls, Nigeria’s premier opinion polling organization, conducted a nationwide poll to establish the opinions of Nigerians regarding our 52nd anniversary and the progress we have made so far. The figure below presents the background characteristics of the 1, 009 respondents interviewed. As expected of the age structure, the proportion of respondents in each age group increases with increasing age but declines at 46. This shows that the majority of the citizens are youth between the ages of 22 – 45. 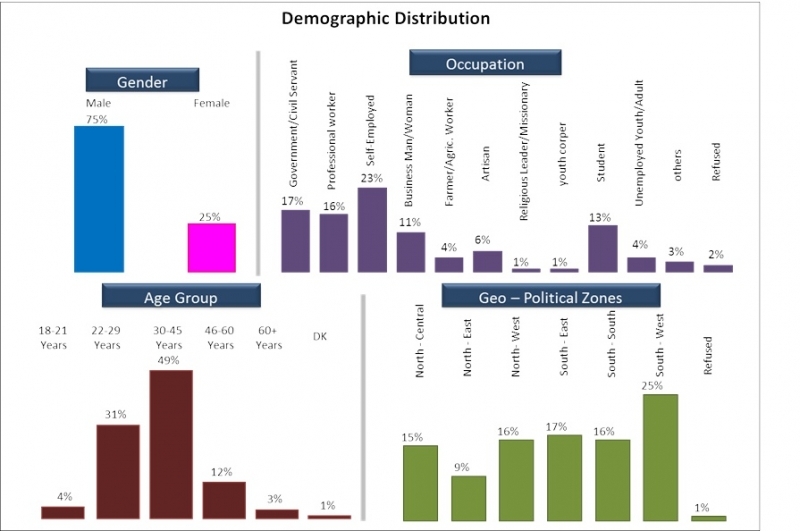 Furthermore, the distribution of respondents by geo-political zones shows a generally similar pattern to distribution of respondents by gender. The majority, 25% of respondents is resident in the south-west region while the rest are distributed accordingly: 17% South-East, 16% South-South, 16% North-West, 15% North-Central and 9% North-East. Starting from the period of independence to now, respondents were asked for their opinion on the performance of the Nigerian economy compared to two other African countries: Ghana and South-Africa, majority of the respondents (40%) believed the Nigerian economy had performed averagely since independence. This opinion represents their perception of the growth of our economy as directly impacting their everyday life. Respondents were also asked if they thought the Vision of Nigeria remains the same as it was in 1960: “Unity and Faith; Peace and Progress”. The vast majority (88%) responded negatively, while only 12% answered positively. The majority that answered in the negative were asked the reasons for their answer, majority of this group cited the mismanagement of resources, closely followed by the continued absence of peace and unity as major reasons for a departure from the Nation’s Vision. 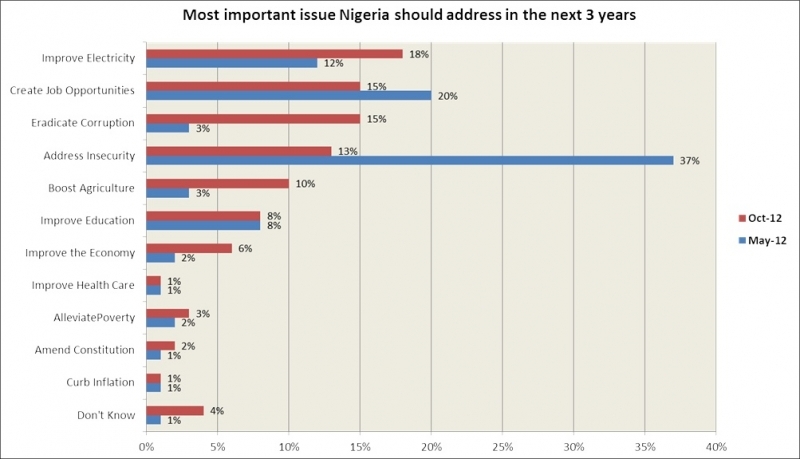 Respondents were asked for the single most important issue that Nigeria needs addressed in the next 3 years of President Goodluck Jonathan’s administration. In response, the majority (18%) affirm that the most important issue is to improve electricity. The next majority pointed to eradicate corruption (15%) and create job opportunities (15%). Comparing the current result above with the responses gathered from a similar snap poll conducted in May 2012, there has been a significant shift in a number of issues considered as top priority to be addressed by the current administration. Details are in the figure below. The results show that amongst the respondents, there has been a drastic reduction in the percentage of those that consider insecurity the most important issue to be addressed, dropping from 37% in May to 13% in October. It was the top ranked issue in May and it is only the 4th ranked in October. Possible explanations for this may include: reduction in the frequency of attacks in Northern Nigeria compared to the situation before May 2012; confirmation of the new IG of Police in July 2012 and his modern strategies to reducing insecurity; perceived achievements by intelligence agencies and successful use of military might; perceived commitment by government towards providing security; and the increasing call for dialogue between the government and extremist groups, amongst others. Battling Corruption has risen from 3% in May 2012 to 15% in October 2012. Also, the need to boost agriculture has risen from 3% in May to 10% in October, and this may not be unconnected to concerns regarding the recent flooding in parts of Nigeria, which has triggered concerns about a looming food crisis. 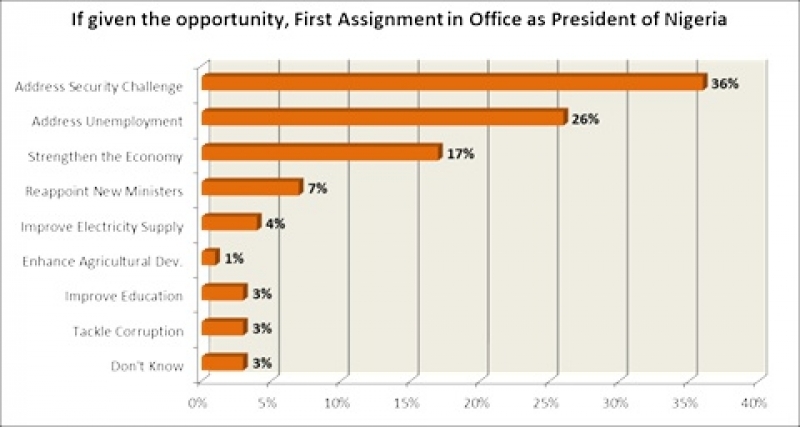 Respondents were also asked to suggest what their first assignment in office will be if they were to become the President of Nigeria. Interestingly, majority of the respondents (36%) said they would address the country’s security challenge, followed by 26% who said they would address employment, and a further 17% who mentioned that they will work at strengthening the economy. 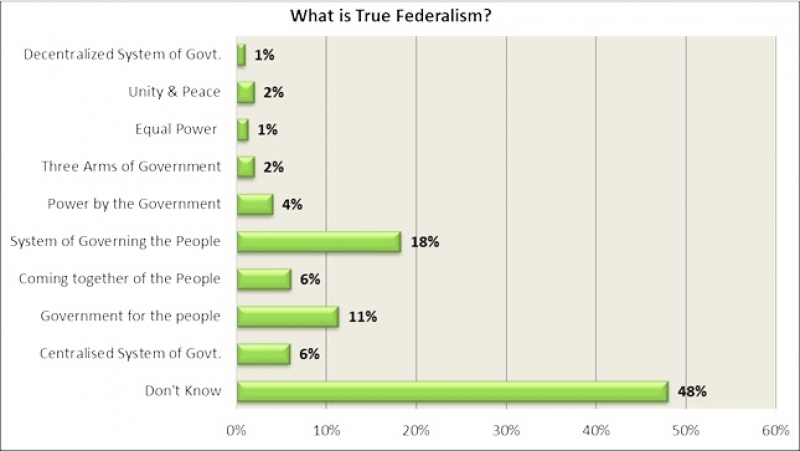 The poll also sought to understand what the term “True Federalism” means to Nigerians. Hence respondents were asked for their understanding of Federalism. Surprisingly, 1 in 2 respondents (48%) said they do not know what the term means despite its frequent usage. What this signifies is, Nigerians are unaware of the political and constitutional platform that determines the power and sovereignty of the state. Also a similar snap poll done in April, 2012 to test the awareness of a call for a Sovereign National Conference by eminent Nigerian Political leaders in the media showed that 9 in 10 Nigerians were unaware of this call. 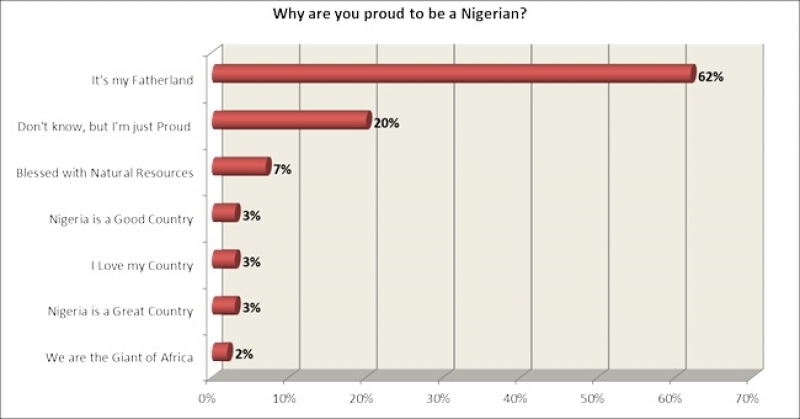 Results from the Independence Day Snap Polls indicate that the majority (93%) of Nigerians are proud to be Nigerians but the overwhelming majority (88%) assert that the Vision of Nigeria has made a departure from its meaning at Independence. This has been linked to the continued threat to the Nation’s peaceful co-existence, mismanagement of the country’s resources and lack of infrastructural development. Also the results revealed that Nigerians over six months (May to Oct) have replaced security with electricity/power as the key national issue to be focused on by the current administration. This has been linked to the success recorded in the fight to keep the Nation safe and the confirmation of the IG of Police. Furthermore, when asked for the meaning of Federalism (decentralization of power across the three tiers of government: Federal, State and Local government), almost 1 in 2 Nigerians say they do not know the meaning of the term, linked to a similar poll done in April 2012 on the awareness of the call for a Sovereign National conference, 9 in 10 Nigerians have never heard about a call for such a conference. This highlights a high level of illiteracy in political matters amongst the majority of the Nigerian adult population.